Top of the line model A-46 is professionally designed to include the most premium set of features, allowing for the utmost ease and comfort when ironing. Please note: If "no door" option is selected the ironing board will not include the following hardware: long door hinge, garment hanger hook, door latch and rollers. The standard birch door is available at no extra cost. board cover and pad. This warranty does not include labor for installation of replacement. product is subject to a 20% restocking charge and must be returned freight prepaid. 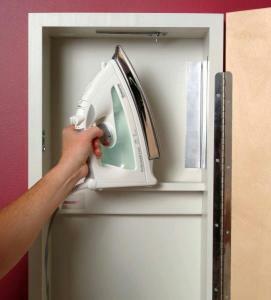 The hot-iron storage feature not only is convenient to store your iron inside the unit, but the location keeps the iron out of children's reach. The spotlight feature enhances your ability to iron out those sometimes hard to spot creases and crevices not found when ironing garments in insufficiently lit areas. 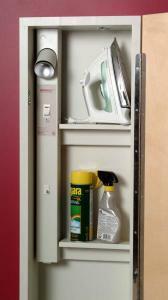 All models include an additional storage shelf, our premium A-46 cabinet will include two additional storage shelves. 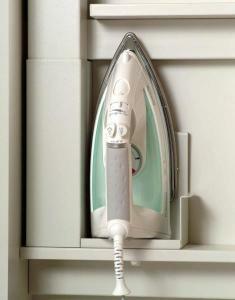 Keep all your ironing aids in one handy location. 60 Minute Solid State, Silent Timer. 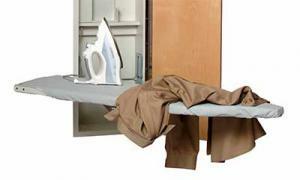 No reason to worry if you’re temporarily called away or unable to continue your ironing! 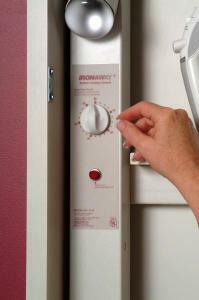 The solid-state, silent timer offers safety and convenience on the Model A-42 and Model A-46. Ironing Board Cover and Pad included. 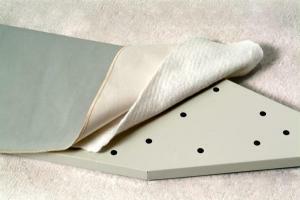 Our metal ventilated board is perfect for today's advanced steam irons. The optional Swivel board allows for a 90 degree left/right turn of the board providing access that may be necessary in confined areas. All models come standard with a birch door. 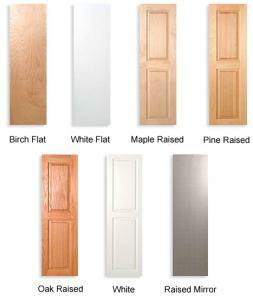 All wood doors come unfinished and can be stained or painted to match your decor. White doors do not require finishing. Mirror is full length, 1/4" plated glass with polished edge. Mirrored door is shipped separate for added protection. Metal Door Overlays come painted and ready to install over the standard birch door. 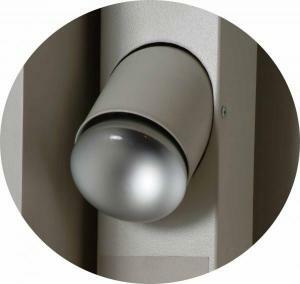 Metal Door Overlay attaches to front of birch door with permanent mounting tape. 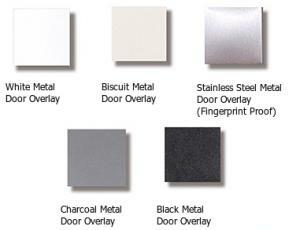 Metal Door Overlay will be shipped in separate carton and will arrive on a different shipment than actual unit. Actual color may vary slightly from manufacturer. For all models, refer to chart for standard and optional features. Outside Dimensions 15" x 60 5/8" x 6 7/8" 15 x 47 7/8" x 7 7/8" 15" x 47 7/8" x 7 3/8" 15" x 47 7/8" x 7 3/8" 15" x 47 7/8" x 3"
Outside Door Dimensions 15" x 60 5/8" 15" x 47 7/8" 15" x 47 7/8" 15" x 47 7/8" 15" x 47 7/8"
Box Carton Dimensions 17 3/16" x 68" x 9 5/16" 17 3/16" x 55 1/8" x 9 5/8" 17 3/16" x 55 1/8" x 9 5/8" 17 3/16" x 55 1/8" x 9 5/8" 17 1/16" x 50 3/8" x 5 9/16"
* Optional Swivel on NE-242 does not include 4" height adjustment. *** NE-242 with white flat door or white raised panel door comes standard with white interior color and white exterior finish. **** Door Hardware not included. How far should the board be mounted above floor level? The bottom of the cabinet should be mounted 8 inches below where you want the board height. Example: I want the board to be 38" off of the floor; the cabinet bottom is mounted 30" off of the floor. Does the Ironing Center fit between the studs? Yes, it is designed to fit between standard 2" x 4" studs on 16" centers. Can it be installed at any height? Yes, it can be installed at the height of your choice. Typical ironing board height is 34"-36" from the floor. The product is very easy to install. It basically requires identifying the desired location, cutting and removing the drywall, slipping the unit between the studs and attaching it with the installation screws provided. All units are preassembled and ready to install. How do we get replacement cover and pads? Can we order it without a door? A "No Door" option is one of the available options. 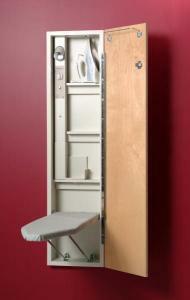 If selected, the unit will arrive without a door allowing you to match custom cabinetry. When this option is selected the piano hinge and door hardware is not included with the unit. This is done so you can match hardware with your cabinetry. Do the doors come prefinished? Yes, it comes unfinished so you can customize your unit to match the room decor. All interior parts have been painted a cool gray saving you hours of unnecessary finishing time. Can the door be hinged on the left side? Will it hold all irons? The hot iron storage area is designed to hold all major brands of irons with the exception of very large, specialty irons designed for the sewing industry.